Our carefully planned and executed production chain guarantees first-class results. 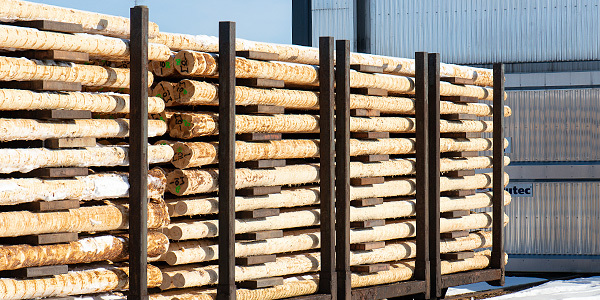 Poles are debarked and sorted at our production plants using laser technology. Debarking is done according to various standards and customer specifications. 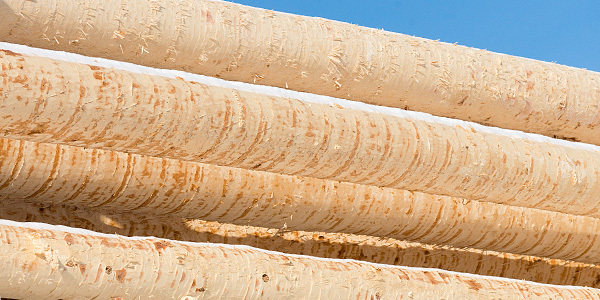 Residue bark is used as energy in our power plant. Traditionally poles were dried outdoors in open stacks, when the air flowing freely between the poles dried them during a period of 8 to 10 months. Today, the poles are also dried in vacuum chambers, warm-air kilns or high-temperature kilns. Wood is peeled to make the surface smooth and even. Residue chips are used as energy in our power plant. Poles are checked for dimensions, moisture content and quality. Marking, drilling and any other fabrication required by the customer are also performed at this stage. The decay-resistance of poles is improved, and these procedures make it easier to erect the poles on site, including in difficult conditions. The traditional Rüping process is followed in creosote impregnation. Poles are pre-heated to a temperature of 50–70°C prior to treatment. After impregnation, any bleeding from poles is prevented during post-processing, which uses hot steam and a vacuum. Poles impregnated with creosote are our primary export products. Creosote is distilled from coal tar and has been used as a preservative for more than 150 years. Creosote-impregnated poles provide the longest service life possible in demanding conditions. The creosote oils we use in our production meet the WEI Type B and Type C standards. Another impregnation method we use is copper-salt impregnation. In this process, the active ingredient in the impregnation material is copper (CuO). The impregnation is performed following the Bethell process. 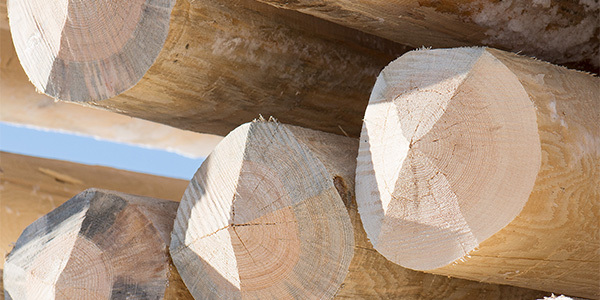 Our company is authorised to use Nordic Wood Preservation Council (NTR) class A quality mark. Deliveries by truck, train or ship directly to our customers are fast and reliable. When needed, poles may be distributed directly to their erection sites.